Two thousand years ago, Jesus Christ’s coming to the earth had been foretold in the Old Testament. By following the prophecies of the Bible, the disciples were able to identify Christ and confidently believe that Jesus was the Messiah. Likewise, the Bible also has the sign by which we can recognize Jesus when He comes a second time. Because He fulfilled these prophecies, the World Mission Society Church of God believes Christ Ahnsahnghong is Second Coming Christ. After fulfilling His purpose, establishing the New Covenant and ascending to heaven, Christ’s teachings slowly began to be changed—being influenced by Roman culture and traditions. In AD 321, the Sabbath Day on Saturday was changed to Sunday. Then in AD 325, the Passover was completely abolished at the Council of Nicea, which plunged the world into the Dark Ages. For this reason, Jesus must return to re-establish all the teachings He taught at His first coming and restore the truth that leads to salvation. The disciples understood that Jesus prophesied about His second coming even while He was still on earth. When the disciples asked Jesus for a sign that signals His return, He told them to learn the lesson from the fig tree. Christ said that when the fig tree blossoms, Second Coming Jesus is right at the door. Because this is the sign with which God’s people can recognize Christ, it’s important to understand the lesson of the fig tree and its true meaning. The man in the parable of the vineyard refers to Jesus. Biblically, the fig tree symbolizes Israel. Jesus preached the gospel to the Israelites for three years, searching for the fruit of the gospel—repentance (Matthew 3:8). Other Bible verses confirm that the fig tree in the vineyard represents the people of Israel. God regards the exiles from Judah as good figs, which allows us to understand that in the Bible the fig tree represents the nation of Israel. Thus, Israel, the fig tree, was left dead and barren. In Luke 13:7, Jesus told His disciples to cut down a fig tree that had not borne any fruit. Since Israel rejected the gospel that Jesus preached for three years, it was cut down. This was a prophecy about the fall of Israel. As Christ prophesied, Israel was completely destroyed by Roman soldiers in AD 70. Following the collapse of Israel, the Israelites were scattered all over the world without a country. Thus, Israel, the fig tree, was left dead and barren. However, the fig tree in Jesus’ prophecy did not remain lifeless forever. Jesus Christ taught that when the twigs of the tree get tender and its leaves come out, when it comes back to life, Second Coming Christ is right at the door. In a remarkable event, after 1,900 years, Israel finally regained its sovereignty. Although it seemed like an impossible feat, it happened in fulfillment of Jesus’ words. 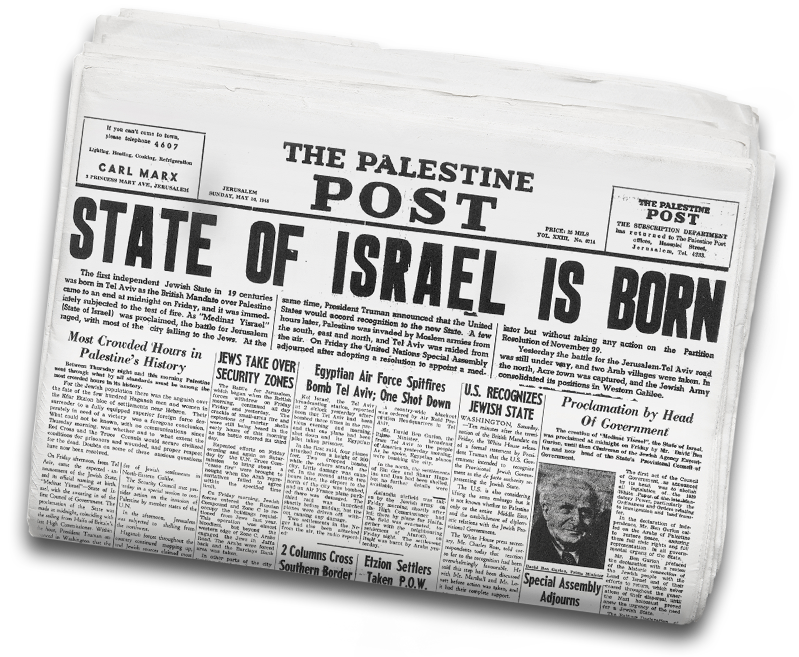 In 1948, the leaves of the fig tree came out and the nation of Israel proclaimed its independence—a sign to the whole world that Second Coming Jesus had come. At the time of Christ’s return, the Bible says He will be right at the door. Second Coming Jesus will stand at the door and ask us to eat with Him—meaning He will again preach the New Covenant Passover, asking us to eat His flesh and drink His blood for eternal life (John 6:53). Christ Ahnsahnghong was baptized in 1948—the same year the fig tree, Israel, came back to life. According to Bible prophecy, Christ Ahnsahnghong began to preach the gospel of the New Covenant and restored the truth of the Passover. This means that Christ Ahnsahnghong is Second Coming Jesus who restored the truth that was lost since AD 325. Just as the disciples 2,000 years ago were able to recognize God in the flesh through the Bible, members of the World Mission Society Church of God recognize Christ Ahnsahnghong as God who came as a man a second time to bring us salvation. Through Bible studies like this and more, we hope you come to learn more about Christ Ahnsahnghong and the prophecies He fulfilled as Second Coming Jesus. Christ Ahnsahnghong was baptized in 1948—the same year the fig tree, Israel, came back to life.